"FAB PLACE. IT'S OUR LOCAL. SELECTION OF ARTISAN BEERS & SPIRITS, MANY LOCALLY SOURCED. IT'S A PLACE WITH A GREAT ATMOSPHERE & LIVE MUSIC WITH OUTDOOR SEATING TO CATCH THE LAST RAYS OF THE DAY." 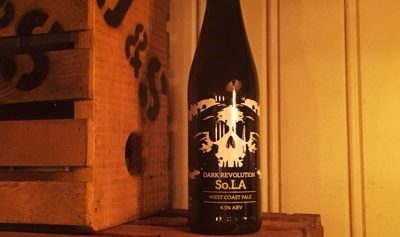 On Tuesday 6th March with Dark Revolution Brewery – an evening celebrating craft beer. Whether you're popping in for lunch with your family, a bite to eat with friends or a romantic dinner for two, you can book a table with us.